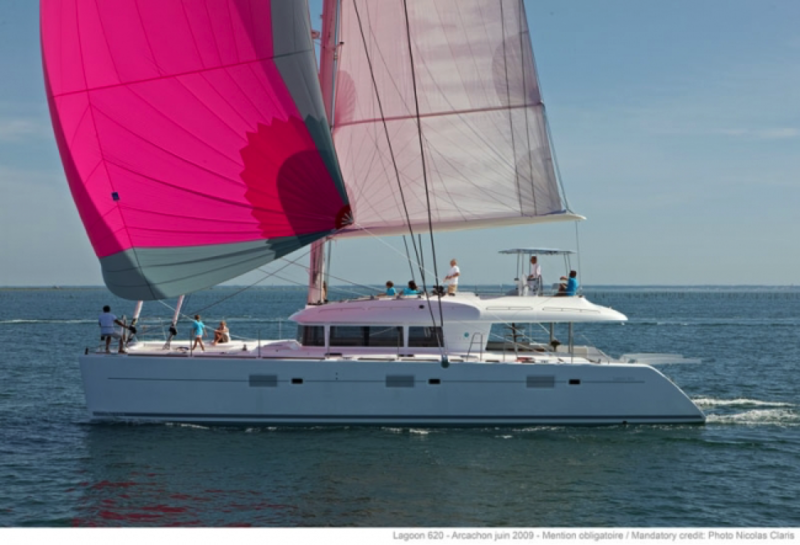 ECLIPSE is the newest Lagoon catamaran in the BVI charter fleet. Yates Yachts receives more inquiries for these 62-foot cats than any other design. The reasons are many, including 4 spacious queen cabins with private heads and separate shower stalls, wrap around views from the large indoor salon, and a variety of outdoor spaces, including the trampolines, large cockpit, swim platforms, and the ever-popular flybridge offering 360-degree views.